This article covers a report that is an untruthful and indefensible indictment of Canada’s organic farmers and businesses, who take great pride in providing consumers with a complete seed-to-fork system premised on integrity, traceability and transparency. On behalf of Canada’s 3900 organic growers and 1200 processors, we the undersigned, voice our unwavering support for the Canadian Organic Products Regulations in providing the public with the most scrutinized and inspected food production system available. Canada’s organic food system must meet all food safety and regulatory requirements, including random testing for chemical residue. Testing is, and always has been, one of the many enforcement and inspection mechanisms available during surprise spot-checks or when an inspector determines that testing is merited. Organic farmers and processors undergo mandatory annual third-party audits and site inspections. 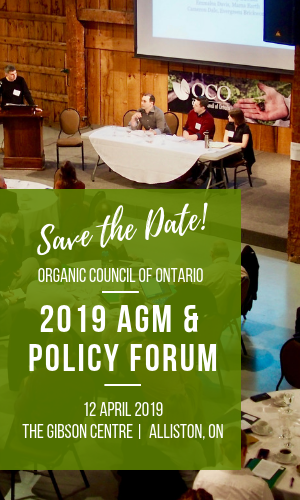 The authors of the Frontier Centre report are well-established opponents of organics, vocal in their support of GMOs, who have produced a heavily biased document. We are shocked by the media attention this has received, which is obviously intended to generate controversy, where none exists. Canadian scientists studying organic agriculture seek alternatives to the use of toxic, persistent chemicals and crowding livestock through innovation and a better understanding of how our ecosystems work. From soils to food processing, the science of organic agriculture has clearly shown significant, measureable environmental benefits. The testing of pesticide residues does nothing to assure the end consumer about the holistic management of the farm, such as the source of seeds, humane conditions of livestock, and overall land stewardship. For the real story, you are encouraged to contact any of the following organizations.